Intelligent beauty with a touch of sarcasm. If you spend a fortune investing in quality makeup brushes it’s worthwhile to take good care of them. 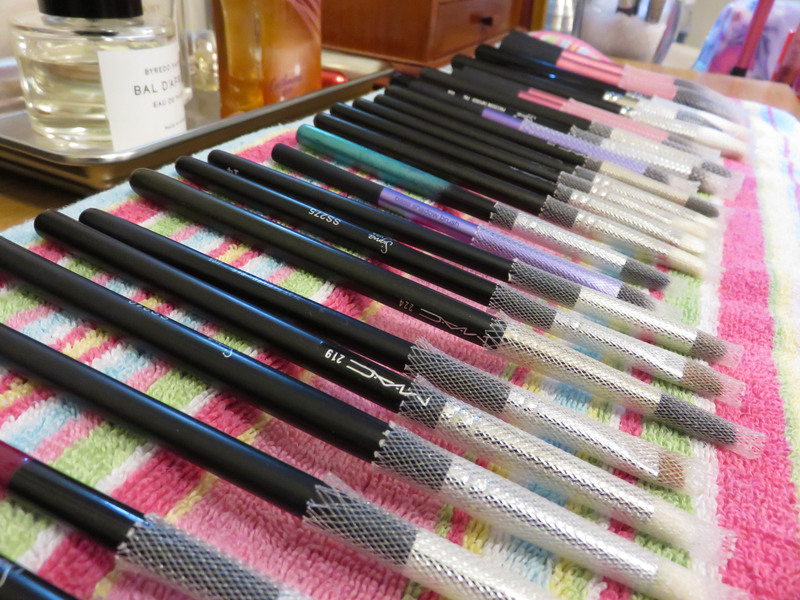 One essential is to wash brushes regularly, but another is to dry them properly. When the bristles of the brush are wet you want to lay the brush either flat or at an angle so water doesn’t drip into the ferrule (the metal bit between the bristles and the handle) of the brush. When water gets up there it can break down the glue holding the hairs in place and it can also rot wooden handles. Plenty of websites sell fancy stands and contraptions to hold brushes upside down to ensure that all water drips away from the ferrule and reduce drying time. However, if you don’t feel the need to invest in another gadget there’s a simple trick you can try to help your brushes dry properly!